A monochrome design which has been given a lift in the form of a scattering of golden stars, this Whimsical Woods and Stars Wallpaper adds charm and enchantment to any space in your home. Both the Woods and Stars patterns have been popular in their own right as individual Cole and Son wallpapers and in the Whimsical Collection, they both come together to create an authentic fairy-tale landscape for your home. 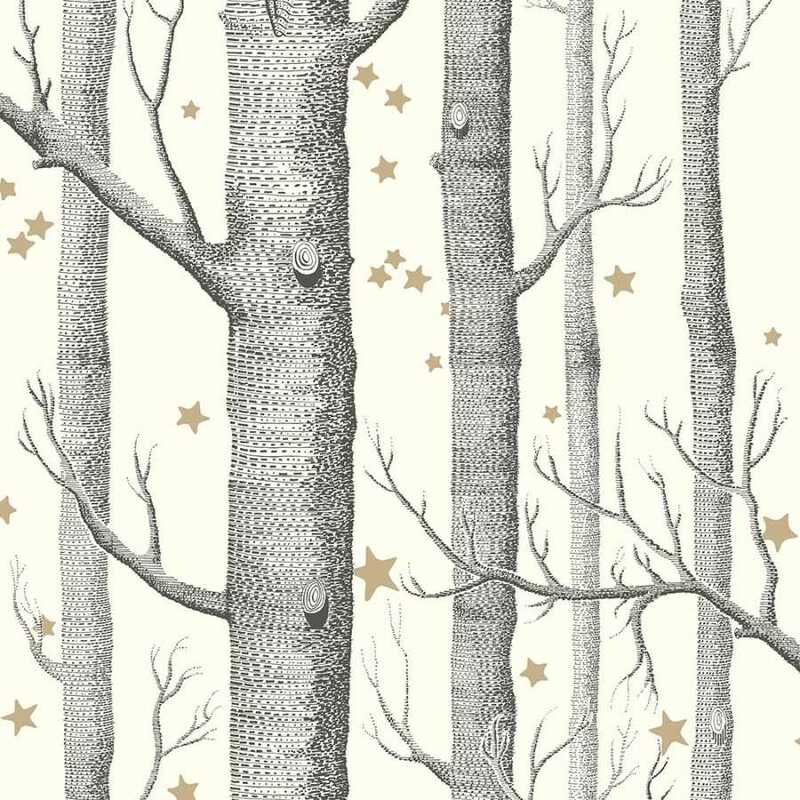 This Whimsical Woods and Stars 103/11050 Wallpaper has a soft white background and black/grey detailing for the silver birch trees. The gold stars stand out against the monochrome background and add to the fairy-tale feel of this piece. The Whimsical Collection by Cole and Son is a celebration of the classic stories and fairy tales of childhood and the whole collection is a nostalgic and magical experience. 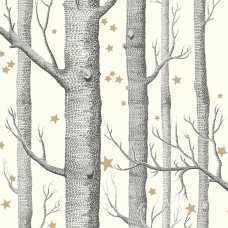 This Whimsical Woods and Stars Wallpaper measures 52cm in width and 10 metres in length. It has a half drop pattern match and a 72cm pattern repeat. 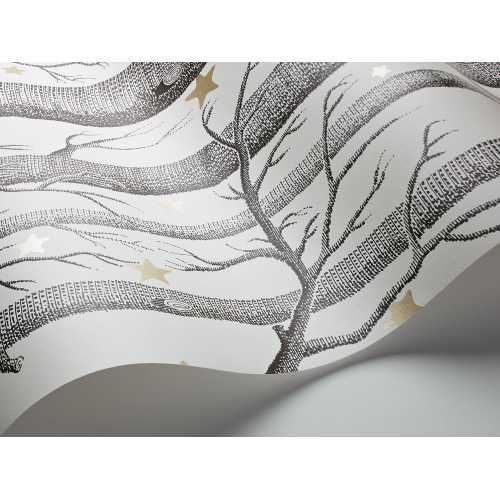 The scattering of stars adds enchanting charm to the trees which make up this wallpaper and the overall impact is enchantment and magical elegance. For more information about the designers behind this enchanting wallpaper and to explore the rest of their range, please visit our dedicated Cole and Son brand page.